Did you always plan to start the book with Ethan's story? Why? Kami: We knew before we started that we wanted to write from a boy's point of view. Margie and I both have brothers—-six, between us-—so it wasn't a stretch. It's an interesting experience to fall in love with the guy telling the story rather than the guy the story is about. Margie: We do kind of love Ethan, so we wanted there to be more to him than just the boy from boy meets girl. Kami: He's the guy who stands by you at all costs and accepts you for who you are, even if you aren't quite sure who that is. I absolutely loved this book. While reading, I would imagine myself sitting in a rocking chair on the wrap around porch of my plantation home, eating fried green tomatoes while drinking sweet tea. I was so wrapped around the storyline about Ethan and Lena that I literally felt like I was standing there watching them as they walked hand in hand, or driving to school in Uncle Macon's hearse. I felt like a fly on the wall or "Boo" Uncle Macon's dog who witnessed pretty much everything. It was so brilliantly written that I imagined everything from the way a painting looked hung on the wall. Or a vase sitting in the middle of the baby grand piano with flowers dripping over the edge. The way the food that "kitchen" made was presented for all to enjoy. Everywhere I looked I saw anything and everything that Kami and Margaret were writing about. I would even dream about the characters. I can't begin to tell you how obsessed I was with them. And that's just it; all the characters just came alive while reading. Each and every one had such a great role to play. I think Ethan might be one of my favorite fictional characters ~ As I take a deep breath and long dreamy sigh. Ethan and Lena's relationship was so amazing. I would like to think that my husband and I have a love like theirs. It was strong. Electric. Intoxicating. Addictive. Nothing too gushy or cheesy about it. I haven't even started on the fantasy, magical world of Casters. I couldn't wait to see what happens from day to day in Gatlin County. Every Caster had different powers. Each was very cool and well thought out. The Southern Gothic storyline kept this book going at a steady pace. I never felt bored. I never felt like I wanted it to be done already, like I have many times in the past with long books. Beautiful Creatures is a fantasy filled love story that draws you in slowly and takes a hold of your heart all the way to the very last page. Do not hesitate to pick this book up as soon as you can. Let me just say we could all use a little of the intrigue, fantasy and romance that this book delivers so well. in stores October 26, 2010!!!!!! Oh great! Now you've made me want to read this one too!! When am I going to have time for all this?? Great review! This is one of my favorite books this year (and possibly ever); I loved it too! I'm still amazed by how well they crafted Ethan and that it never seemed (to me) like women were writing him. I'll definitely be adding this to my daughter's and my booklist. Thank you! I will have to give it 6!lol.i still think it was the best i've read in 2010! @Darlyn I think I've only given all six chess pieces to Harry Potter. I agree with you, However HP is perfect in every way. Great review! I've heard lots of lukewarm stuff about BC, but I'm glad you loved it. I hope the characters come as alive to me as they did for you. I actually have this book sitting on my shelf at home! I read half of it but haven't finished it yet. By the sound of your review it's sounding pretty good I think I might pick it up next! Great Review! The review and description have definitely added this one to my Must Read list. It'll be interesting to see the story unfold from a male perspective, almost every YA book I've read has been from a female POV. OMG, I have been hearing about this book and everyone says it is amazing. 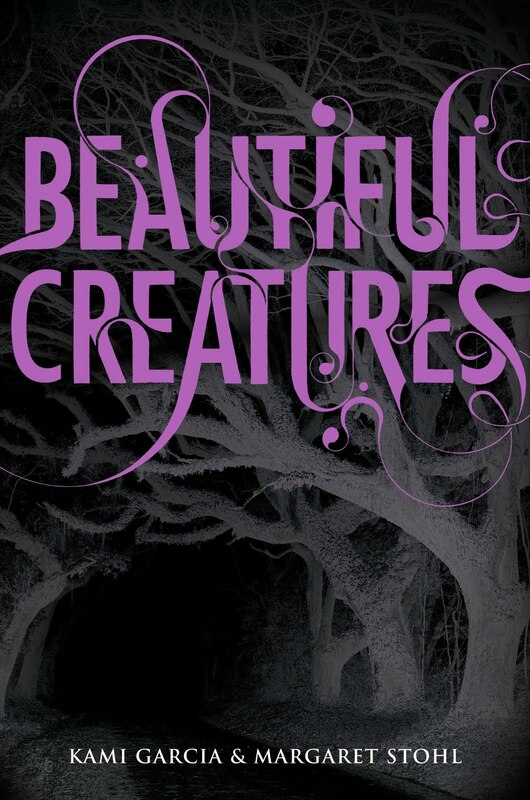 I have to agree that Beautiful Creatures is one of my favorite books this year. Even though there are a lot of characters, you don't feel like you need to keep notes to keep track of who's who! I really want to read this book, sounds awesome! I didn't know this was from a male POV! Now I have to read it, you don't see this every day! Also, I've only heard good things about this book so I'll have to pick it up. OMG! Love the story, love the review, love the book trailer!! I didn't know that a boy was the narrator!! +1 for my "wish list"
Such an interesting book!!! I can't wait to read it!!! I have been going back and forth about this book for a few weeks. I have heard great things about it and some not so great things. I've been on the fence but now I can't wait to go out and get this book. Great review. I still need to read this! But now I can go in with high hopes. Great review! It's weird, recently I've been feeling like ALL the books written for YA these days are about naive teeny bopper girls falling for dark, wordly, "teenage" men. I thought "why are no books about dudes falling for chicks?" So I'm really interested in this one, especially after that review, when I was initially on the fence about reading it. I'm not usually into southern settings. However, Casters sound cool, and I really need a new paranormal romance! I haven't started this series yet myself, but you've definitely made it sound pretty good. Lovely review. I have looked into the series, but unlike the hunger games (where i'll admit i was wrong) i have no desire to read it. I read the first few chapters of the first book and it did nothing for me. I don't read paranormal but I've heard really great things about this book and your review is awesome. I only hear great things about this book, but still haven't managed to read it. I should do it soon!! I've heard loads of good things about this book... I really need to read it! This one is next on my to read list, and I was wondering how much I'd like it. This review was great, and has made me really excited to start it! How have I not heard of this book before? I can't wait to give it a read! Great review. I have heard so many good things about this book. I really want to read both of them. Hi, I haven't ha a chance to get to this one yet. It sounds great though. Great review. I also really enjoyed this one! Thanks for the review. I still haven't started to read this book yet, but after this amazing review, I think I'm gonna jump some books in my TBR pile and pick Beautiful Creatures right now! Thanks for the great review! I really love this book. One of the best. Great review but boy's point of view is not something I like (Harry Potter is an exception!). its neat that it's told from the male perspective - that's hard to find! Now there's another book I have to read. I hope they have an audiobook. Love the review and can't wait to read about Ethan and Lena.